This was the Hollywood of the early days, before tourist-clogged Hollywood Boulevard, seedy shops and tourist traps kept locals at bay. In these early days, those wishing to make a name for themselves in the budding film industry ventured to an oasis called Hollywood, where orange trees blossomed and the rural landscape was dotted with farmhouses. 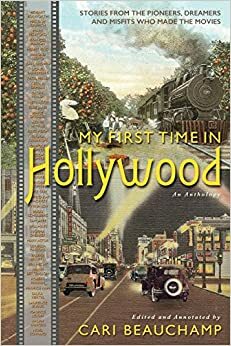 It is difficult for us to imagine a Hollywood like this, but in My First Time in Hollywood, writer and historian Cari Beauchamp has immortalized the Hollywood of the past by compiling and annotating the words of those who lived it. Beauchamp, the author of the beautiful Without Lying Down: Frances Marion and the Powerful Women of Early Hollywood, has created a portrait of early Hollywood that is at once nostalgic and poignant. These are the people who built the movie business as we know it, their work and commitment setting the stage for the writers, actors, and directors who would come after them. In reading their words about their Hollywood, we see just how much these men and women were responsible for building the town, and also how the Hollywood of this book has largely disappeared due to the exponential growth and explosion of the entertainment industry, causing a web of traffic, corporate buildings, and overpriced houses. The intersection of Hollywood and Highland, 1907. The intersection of Hollywood and Highland today. The book includes stories from familiar names like Mary Pickford and Lionel Barrymore, as well as lesser-known Hollywood figures such as secretary Valeria Belletti and Evelyn Scott, daughter of Beulah Marie Dix. Many of the stories are from the perspectives of women, a refreshing realization in an industry comprised of a mostly male-dominated Hollywood narrative. “For years I had believed, if not in the Never Land of Peter Pan, in the Never Land of Hollywood. Had believed, had thought lovely, wonderful thoughts, and for all that my Never Land was a continent away, it might as well have been second to the right and then straight on till morning. Until now. Now at last I had found it. I was right here in it, this place of enchanting make-believe. And I was going to stay here and become a star. How could I possibly go home? 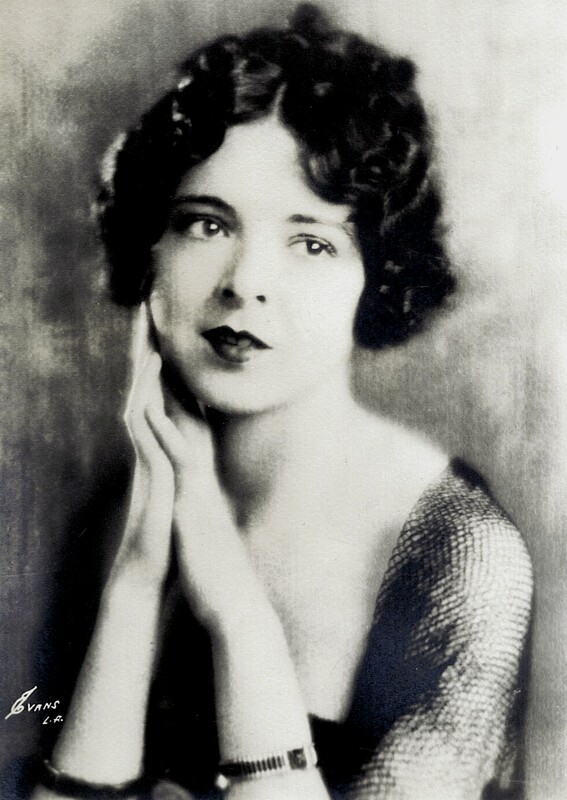 A young Colleen Moore, shortly after she arrived in Hollywood. If you would like to purchase the book, here is the link to the Amazon site. I enjoyed it thoroughly. See you next time, and happy reading! This entry was posted in Lara Gabrielle Fowler and tagged cari beauchamp, colleen moore, hollywood, lillian gish, los angeles, my first time in hollywood, Silent Film. Bookmark the permalink. Oh man…I just bought her bio of Frances Marion and now I have to get this too! Yes, you must! They’re great companion books. This book sounds like something I would read through until my eyes crossed. I’m going to get my hands on it! This looks like a great book. Thanks for posting about it. I’d like to nominate your blog for a Liebster Award. You can find the criteria here: https://timelesshollywood.wordpress.com/2015/07/12/liebster-award-nomination/ — Can’t wait to see future posts! Hi exceptional website! Doess running a blog such as this require a large amount of work? had been hoping to start myy own blog in the near future. share. I understand ths is off toplic but I simply wanted to ask.